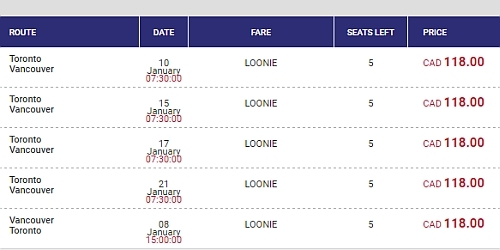 Flair Air (formerly New Leaf) is showing flights from Toronto to Vancouver, BC for travel in January for $246 CAD roundtrip including taxes. The flights have 1 stop each way. They are also showing non-stop flights from Toronto to Edmonton for $210 CAD roundtrip including taxes. 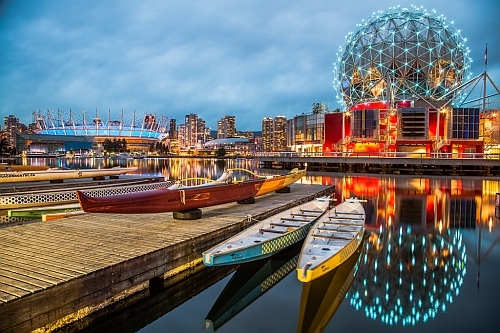 Update 1/8 - Flair Air is now showing flights from Toronto to Vancouver in February for $254 CAD roundtrip including taxes. And Toronto to Edmonton in February for $210 CAD roundtrip including taxes. For example, try selecting 'Toronto' first, to see all flights from Toronto to Vancouver. And then select 'Vancouver', to see all flights from Vancouver to Toronto. toronto, yyz, flight deals, vancouver, british columbia, canada, yvr, bc, north america, alberta, edmonton, yeg and flair air.